The Fusion 5 Performance is the ultimate result of the work conducted around the ElevenSTORM® compound of the Fusion 5 range. Compound thickness, casing/compound bonding procedure, Lightskin® polyamide reinforcement, it’s 255g dedicated to speed, performance and the competitive instinct. The efficiency of its compound and its capacity to restore energy ensures unparalleled road holding. Wanted something a bit more durable and grippy in the wet than the Schwalbe Pro One on my disc braked bike. Mounted on a Hope RD40 carbon rear wheel relatively easily (although this is more the wheel than the tyre). So far so good and offering what I was looking for. Durability seems good and doesn't appear to offer any discernible performance disadvantage over both Hutchinson's and Schwalbe's more performance orientated and expensive rubber. Hopefully, will get a decent mileage out of them too. Overall, very happy with this tyre and would recommend. Fitted to my Mavic Cosmic Elite UST by hand and inflated with track pump without any effort. Look really nice and exceptionally good price. Great value. The rolling efficiency is excellent! Also very easy for installing. Got these tires in 28mm and mounted them on wheels with 19mm wide internal width. This is my first time using wide rims with 28mm tires and they feel great. Have only done a few rides with this setup and have now lowered the pressure to front 60psi and about 68psi in the back feels very smooth and is a lot easer on my 58-year-old body. Amazing tires. Roll well and setup tubeless really easily. I installed the tubeless tire for the first time, but it was very easy to install on the DT SWISS wheel. It's comfortable riding, and running is also light. I will check the optimum air pressure from now. It took around 24 hours for the leak to disappear after putting the sealant. Best tubeless tire I have tried. It has great puncture resistance. I have gotten adequate miles out of them. They are the easiest tubeless tire I have installed. Hello,! The Hutchinson tubeless are some of the best road tires I've put on my rims. Easy installation, very comfortable, efficient rolling, safe turning and very resistant to punctures. I already ride Schwalbe eavec, S-Work Turbo Specialized and Vittoria Corsa Graphene +. A little less rolling than the Vittoria Corsa but very pleasant sensations it provides. Actually a tubeless that I personally recommend. Really nice tyres. Every bit as good as the Michelin Endurance they replaced and as good as Continental GP4000S II that I had before that. The only thing I would say is that they do 'appear' narrower even though they measure up at 26-27mm wide. Absolutley one of the better tubeless ever used over the past 5 years! They don`t have the suppleness as the Victoria Corsa Speed but the puncture resistance is much superior. 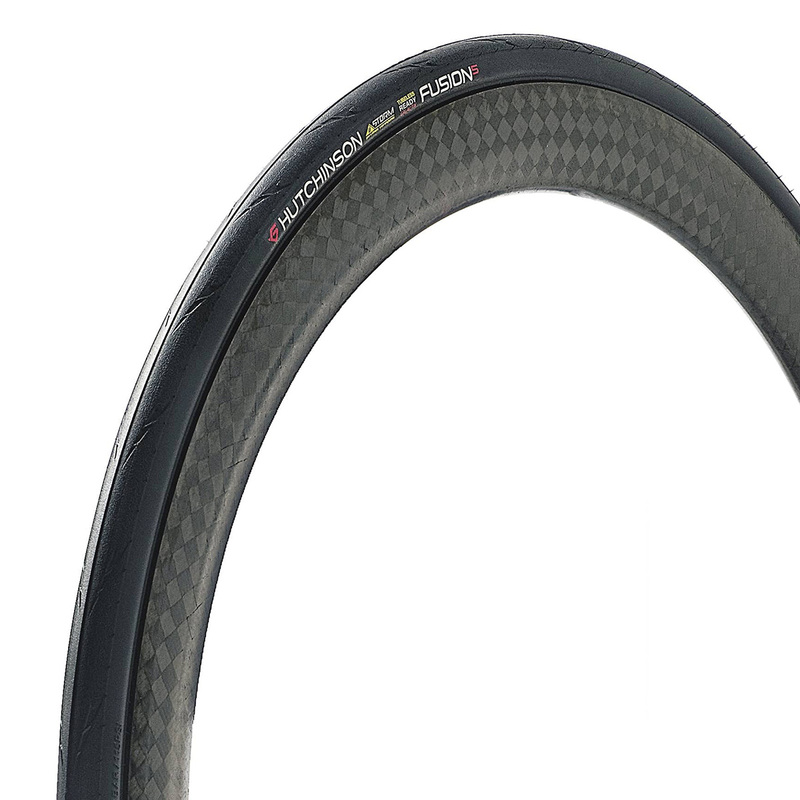 Great feel, extremely good cornering, you feel secure with those tubeless. So far I am liking these Fusion 5 Performance tires over the Schwalbe Pro Ones. I was excited to finally see these tires in a 28mm width. They seated better than the pro ones, and seem to hold pressure better than the pro ones. My pro ones went almost completely flat after about a week of not putting air in them. These fusion 5 performance tires only showed a 10 PSI loss after week (down to 65psi from 75psi). Best tubeless I have used. Easy to mount. Easy to inflate. Has held up great so far. I hope they don`t change it as it truly is a superior tubeless tire to many other I`ve used.